North Hills is truly a hidden gem. Located just over the state border, North Hills is a lush track set on 220 acres of rolling hills, with large and immaculate bent-grass greens. Wide, tree-lined fairways separate the holes for a sense of tranquility. Four sets of tees offer all golfers the ability to enjoy their round and the occasional water holes will inspire rather than strike fear! The course recently celebrated its 50th Anniversary and its well-deserved reputation as one of the top courses in northwestern PA. It’s the only course on the Trail not located in New York, so you know it must be worth the 35 minute drive from Chautauqua! With commanding views of both Chautauqua Lake and the rolling hills of the surrounding countryside, the Hill Course rewards strong shot placement. Its tree-lined fairways, frequent doglegs and small greens require some precision, but the views somehow make it more forgiving! Renowned golf architect Xen Hassenplug worked his magic here, and the result is a richly scenic experience, high above the lake and the famed Chautauqua Institute. Be sure to take advantage of the Learning Center, with three practice holes, a driving range, chipping green with fairway and two putting greens, all on 25 scenic acres overlooking the lake. Designed by legendary architect Donald Ross, the Lake Course is characterized by open tee shots and demanding approaches to small, steeply sloped greens. This four-star rated course has carved an exciting and rich history over its 100-plus years. Fourteen members of the World Golf Hall of Fame have played here, including the first Masters Champion, Horton Smith, Ben Hogan, Sam Snead, Byron Nelson, Jimmy Demaret and Walter Hagen (as well as President Bill Clinton). Ross also designed Oak Hill Country Club in Rochester, as well as the famed Pinehurst No. 2. You’ll experience the many Scot influences that Ross employed at his 400 course designs at the Lake Course. Stop by the Double Eagle afterwards, named for Gene Sarazen’s famous shot on the tenth hole! Centennial is a 27-hole championship course designed by Larry Nelson, a member of the World Golf Hall of Fame and two-time PGA Champion as well as U.S. Open Champion. Nelson calls the 340-acre layout with its rolling hills, ponds and natural rock formations “the most naturally suited to golf” he has ever seen. The course’s expansive multiple tees accommodate the beginner as well as the accomplished player. The practice facility is first-rate, as would be expected. Nelson’s Tavern has a relaxed pub atmosphere, with a memorable view of Centennial’s unique and scenic landscape. Willowbrook is a 27-hole complex just outside the quaint village of Lockport. Its distinguishing feature is 18 Mile Creek, which winds through the course and comes into play on more than a few holes. Willowbrook also features many ponds which add to the overall ambiance of this traditional, tree-lined layout. Course conditioning is top-notch, as the course’s regulars will readily attest. A full-service restaurant features an outdoor deck with an awning and a scenic view overlooking Willowbrook’s signature water hole. Radisson Greens was designed by the internationally renowned course architect Robert Trent Jones, Sr. This semi-private course features large bent grass greens guarded by white sand bunkers. The tree-lined fairways require accurate drives, and water comes into play on six holes. The par 5 third hole leaves little room for error, with water on both sides of the fairway and a sloping green guarded by woods in the rear. If you par this hole, treat yourself to an extra beverage in Potter’s Pub after your round. Reservoir Creek at Naples is a hidden gem of a course, nestled in the Bristol Hills just south of Canandaigua Lake. The layout is innovative, with multiple holes boasting elevated tees, dramatic approach shots and creative shot making. The course is always in impeccable condition and the personal service is second to none. Reservoir Creek includes several vistas and plateaus, with some of the most memorable holes you’ll ever play. Be sure to bring your camera as well as your “A game” for this Finger Lakes treasure. Founded in 1930, Niagara Frontier is a private club with a newly renovated clubhouse and outstanding practice facility. A par-70 championship-style course, Niagara Frontier is a challenging, enjoyable layout located just a long drive from the Lake Ontario shoreline. This hidden gem features a mature, tree-lined layout with subtle yet challenging elevation changes. Lush fairways and pristine greens make Niagara Frontier a pleasure to play, particularly when followed by a cold drink from the clubhouse overlooking the scenic 18th hole. This Robert Trent Jones II design, with five sets of tees, opened in 2010. Named for the rare and protected Shellbark Hickory trees on site, Seneca Hickory Stick is a picturesque layout highlighted by tranquil lakes and ponds, native plants, and grasses surrounded by large, mature trees. It weaves its way through some of the most picturesque topography in western New York, including five lakes. Take advantage of the many club facilities, including free use of the driving range, a vast practice green, and grass and sand chipping areas near the green. The spectacular 18-hole championship course features stunning rock formations, extreme elevation changes, and spectacular views of the surrounding countryside. Designed to test shot-making skills, this layout will challenge you to negotiate a variety of wetland areas, bunkers, and of course, all the subtle features you would expect from the Golden Bear. This 6,889-yard, par 72 course reflects Jack’s meticulous attention to detail and his demand for excellence. Jack’s signature means he walked every fairway, landing area and green to ensure they meet his unyielding standards. As you play the course you can’t help but notice his influence, his personality, his drive for excellence, his touch … the touch of the Master. A taste of Ireland tucked into the Hudson Valley, this championship, semi-private course rivals the links-style courses of the Irish. The Links at Union Vale was named best daily fee course by Northeast Golf Magazine in 2008, 2009 and 2010. It has hosted USGA Amateur Qualifiers. Designed with distinct features of water, potbunkers, natural hazards and bent and fescue grasses, The Links at Union Vale offers a true test for golfers of all skill levels. Architect Steven Kay, the renowned New York designer, took 200 acres of nearly treeless cattle farmland and turned into a layout of great beauty. The course’s wide, scenic vistas are truly impressive. Large, double-tiered greens and sloping fairways require that golfers focus on shotmaking rather than the course’s many photographic features. Four sets of tees offer very different looks. The course calls for smart tactics, particularly on the front nine, which is high risk/high reward. The course is always in exemplary condition; the customer service is likewise outstanding. After your round, you’ll want to continue to enjoy that taste of Ireland from The Bar & Grill with a Guinness on tap poured slowly, in traditional fashion. Bristol Harbour sits on Canandaigua Lake, in the heart of Finger Lakes‘ wine country. This championship layout, designed by Robert Trent Jones, has hosted a number of State Amateur Championships. It has been recognized by Golf Digest and The American Golfers Guide as one of the top public facilities in the state. The course record belongs to Jack Nicklaus. The front nine offers stunning views of the lake and plays links style. The back nine is tighter, and traverses through woods. The spectacular beauty of Canandaigua Lake and the Bristol Mountains serve as your backdrop on several holes. The signature hole is #14, a par four with an incredible drop in elevation from the fairway to the green, which is set in a gorge of the Bristol Hills. Located just five minutes from the NY State Thruway, Mendon Golf Club is the only private club in the Finger Lakes on the New York Golf Trail. The 6,600 yard, par 71 course encompasses 150 impeccably groomed acres in the rolling hills of Mendon, with breathtaking views of the surrounding countryside. It features a creek, two lakes, and a wooded back nine. The club has hosted two U.S. Open qualifiers and one U.S. Amateur qualifier in the last three years but four sets of tees accommodate players of all abilities. A driving range, two practice greens and a practice bunker will prepare you for a round on this wonderfully-maintained course. This land on which Mill Creek Golf Club sits is on, off of and around the highest point in Monroe County with views of the Rochester skyline and the rolling hills of the Finger Lakes. Rochester’s newest 18 hole championship course integrates the spirit of the unique glacial drumlin that bisects 320 acres of forested rolling hills, windswept fescues, rock creeks and waterfalls. The renowned golf course design team of Raymond Hearn and Paul Albanese have created this unique course by blending the natural aesthetics of the land with the risk/reward factors of a well-crafted challenge. The intent is to deliver the most memorable experience to golfers of all skill levels. Five sets of tees accommodate the novice and challenge the expert by adjusting the angle and length of the course from less than 5,000 to over 7,000 yards based on the player’s ability. Each player has a similar experience from tee to green, meshing mature trees and lush, bent grass fairways, greens and bunkers. The Links at Greystone is a true New York gem. Rated four and a half stars by Golf Digest, this Scottish-style track has several memorable and stylistic features. Dramatic elevation changes, scenic vistas, native grasses and fescue, an elegant clubhouse overlooking a double green, and well-manicured fairways are just a few of Greystone’s many highlights. The course, which opened in 1996, is a regular “Reader’s Favorite” in annual Golf Rochester Guide surveys. The signature 18th hole is a real show-stopper. A downhill fairway runs into a giant pond, so you’ll need to lay up with your drive before hitting your approach shot over the water and onto the double green that sits below the hillside clubhouse. Finish your round with a beer in Shoney’s Pub, another Greystone salute to the Scots. Ravenwood Golf Club is one of the Rochester region’s premiere championship courses. When opened in 2003, it was named America’s “5th Best New Public Upscale Course” by Golf Digest. Architect Robin Nelson is renowned for his lush Hawaiian layouts, but added this New York gem to his many masterpieces in 2002. The course has a gently undulating terrain, and holes that flow seamlessly from one to the next. Standout holes include the beautifully bunkered par-5 18th and the par 3’s on the back nine strategically guarded by water. Ravenwood has hosted the 2003 and 2009 New York State Golf Championships, as well as the 2004 U.S. Open Qualifier. The Otesaga’s Leatherstocking Golf Course is celebrating its centennial in 2009. Designed in 1909 by Devereux Emmet, it is considered by many to be one of the East’s most scenic and challenging resort golf courses. It received the second highest overall rating for public courses in New York, New Jersey and Connecticut, according to Zagat Golf Course Survey. It has been awarded 4 1/2 stars by Golf Digest and was voted 55th Best Golf Resort in the US by readers of Condé Nast Traveler Magazine. The natural contour of the course sweeps along the western shore of Lake Otsego. The mid holes climb to elevated fairways and tees that provide unforgettable views of the lake and the adjoining grounds of Fenimore Art Museum and The Farmers’ Museum. The 18th hole may be the most exciting on the course – a 505-yard, par 5 with an island tee box on Lake Otsego. The hole dog legs to the left around the lake, and the green is located in front of The Otesaga’s veranda. This is a Hall of Fame course located in America’s most perfect village. This Robert Trent Jones masterpiece is characteristic of all Jones’ courses, which include strategic deployment of water, extensive tee areas and large, expansive greens. A creek wanders throughout Seven Oaks, which is home to the Colgate University golf team. Nestled in the hills of historic Hamilton, the course is truly a hidden upstate gem. Jones designed Seven Oaks in 1934, but because of the Great Depression, the plans sat idle in a drawer until the 1950’s. Ground was broken for the first nine holes in 1956 and the second nine was completed in 1964. The storybook setting is beautiful in any season. Malone Golf Club received a top ranking in Golf Digest’s 2004 Best Places to Play. 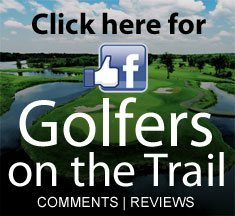 It is one of the finest golf facilities in the northern New York/southern Ontario region. Designed by the noted architect Robert Trent Jones, 36 championship golf holes make up two outstanding courses…Malone Golf Club East and West. The East Course has rolling hills and diverse terrain, while the West Course has tight fairways and water in play on nine holes. Awarded four and one half stars by Golf Digest, Malone Golf Club is always in exceptional condition. Golfers from downstate and Canada alike marvel at the gleaming white sand bunkers, affordable green fees, new clubhouse and outstanding course design. Malone Golf Club was established in 1903 and Babe Ruth once played here.